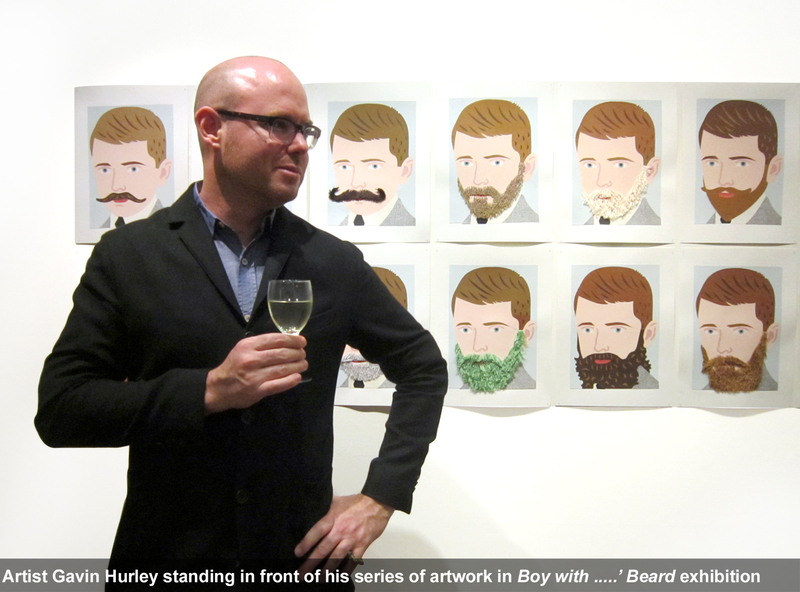 Boy With .....'s Beard is a new series of portraits by Auckland artist, Gavin Hurley. The central subject of this series is a boy that wears an array of distinctive facial hair styles, from famous historic figures to well-known contemporary artists. The series is an insightful and imaginative pastiche of childhood and adulthood, past and present. The central concept of Boy with …..’s Beard is character analysis. Hurley uses the same face of a boy in multiple guises, with the facial hair shapes of twenty one personalities, based on both historical and living figures. Previously the artist has portrayed sea captains, explorers, political figures, classroom students, artists, these characters of history are often sourced from old photographs and printed media. It is the material attraction to old books and photographs as much as the contents and found pictures of these books. Hurley crafts timeworn paper stocks from such publications into his collages. At times adding to them embroidered beards and moustaches which have been stitched then groomed into place personally by the artist. The smooth and perfect complexion of Hurley’s subjects have a mask-like quality signifying identity as something that is highly visual and can be stuck or put on. These 21 portraits also represent the unknown potential for young personalities to grow up into important figures in history and society. 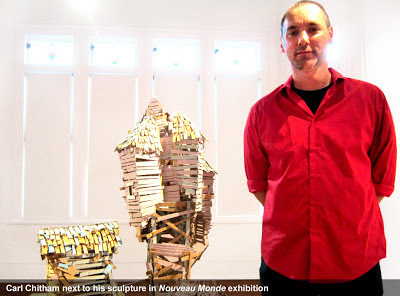 Corban Estate Arts Centre's latest exhibitions bring Antarctica to Auckland through sculptural installation, moving image and photography on display from 17 May until 16 June 2013. 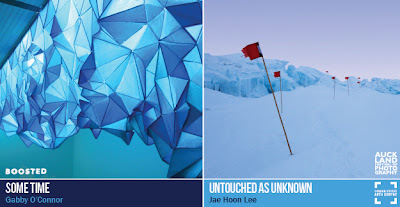 Untouched as Unknown features digitally rebuilt landscapes from Antarctica, where artist Jae Hoon Lee travelled to be an ‘Arts Fellow’. Lee’s confronting and seamless photographic landscapes are composed from numerous individual images taken over a period of time, his images both document a place and create an imaginary one. This exhibition is part of the Auckland Festival of Photography 2013. Wellington based artist Gabby O'Connor reconstructs the science and history of Antarctica in her newest installation some time, an alluring sculptural interpretation of the edge of the Antarctic Ross Ice Shelf at the point of collapse. 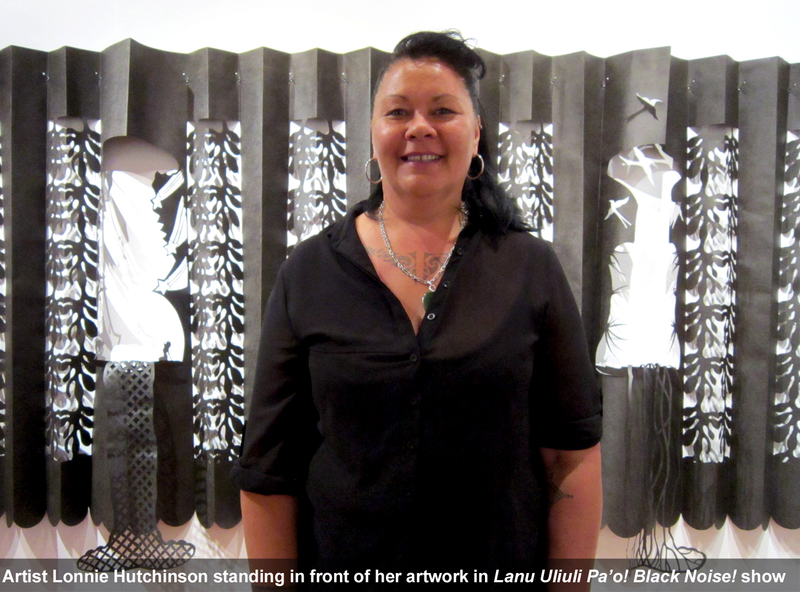 This labor intensive installation is made from thousands of tissue paper sheets, hand dyed and cut into geometric shapes and manually assembled. O’Connor’s Antarctic installation is the first arts project in New Zealand to be funded by Boosted, a new crowdfunding initiative for creative projects in New Zealand recently established by the Arts Foundation. In a series of free public programmes, O’Connor will give an artist talk on Friday 17 May and a children’s workshop to make paper icebergs on Saturday 18 May, as part of the annual Corban Estate Arts Centre’s Kids Arts Festival, while Lee will give an artist talk on Saturday 8 June. Gabby O’Connor, What lies beneath (detail), 2012. City Gallery Wellington. 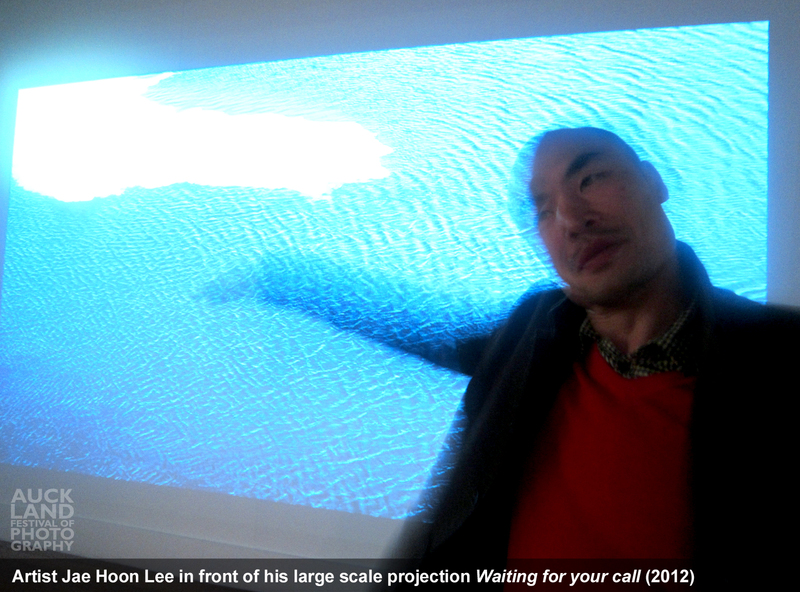 Jae Hoon Lee, Pressure Ridge (detail), 2012. Courtesy of Starkwhite Gallery. The Corban Estate Arts Centre (CEAC) is located at the historic Corban Winery Estate in Henderson, Auckland. The arts centre utilizes the historic winery buildings and is home to galleries which feature a changing programme of exhibitions, as well as a café, gallery shop, and artists’ studios. CEAC also offers a wide range of arts and cultural events and education programmes, including art classes for adults and children and a schools education programme. The centre is open 7 days a week, 10.30am – 4pm.